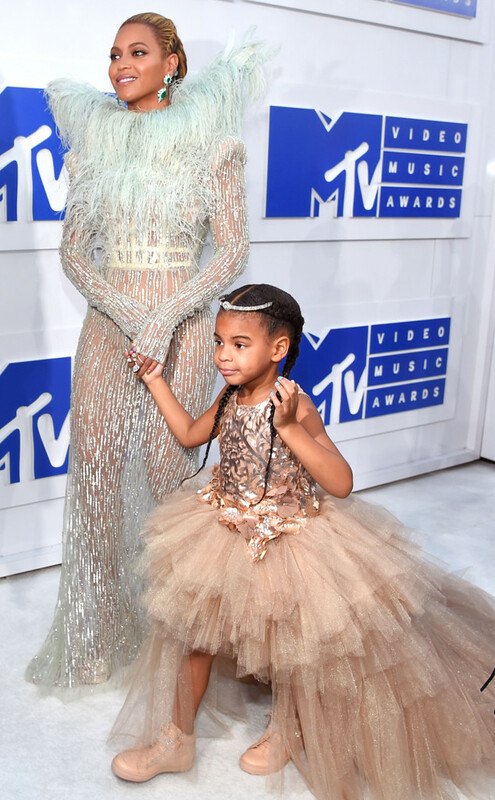 Home / Beyonce / Blue Ivy / Celebrity / Celebrity Style / Fashion / Red Carpet / STYLE / VMA'S / ALL EYES ON BEYONCÉ AND BLUE IVY SLAYING AT THE VMA's RED CARPET 2016. ALL EYES ON BEYONCÉ AND BLUE IVY SLAYING AT THE VMA's RED CARPET 2016. The VMA's ndio ime pita kama hivyo and just like you know celebrities walivaa na kuvishwa..but before we get into what other celebrities wore tuone these who caught our attention kwanza. 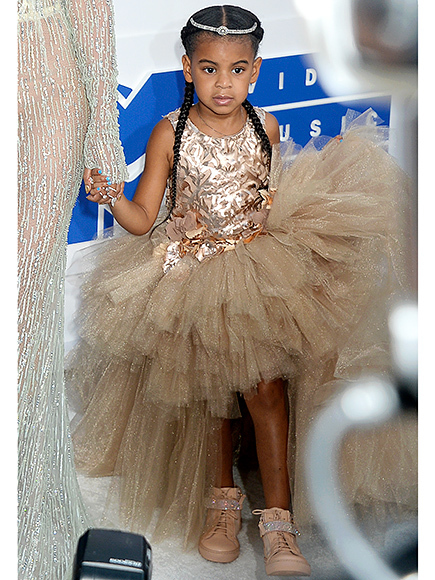 Yes Queen Bee slayed! 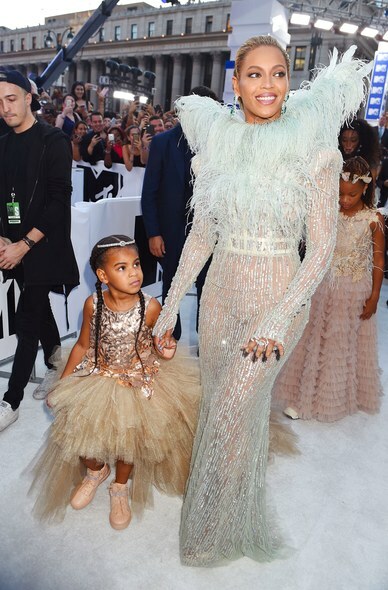 And this time she brought along her little princess Blue Ivy..This is just pure loyalty right..Just check out what they are wearing.. 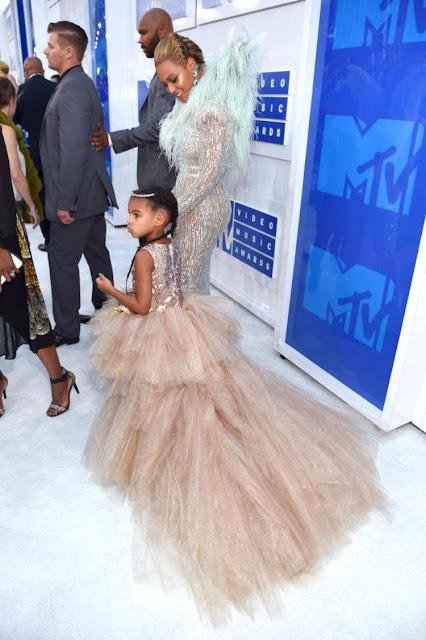 The Queen herself is wearing a feathery sparkly sheer gown with simple makeup to not take the shine off her dress of course. .
And Blue Ivy is wearing a shiny rose gold mini dress..With a lot of tulle going on..and matching sneakers. .